Quiet, portable power for base camp, cabins and unexpected outages. The Goal Zero Yeti 400 Solar Generator allows you to live life off the grid, camp in luxury, or power through an outage without the noise and fumes of traditional back-up generators. Solar panels not included. 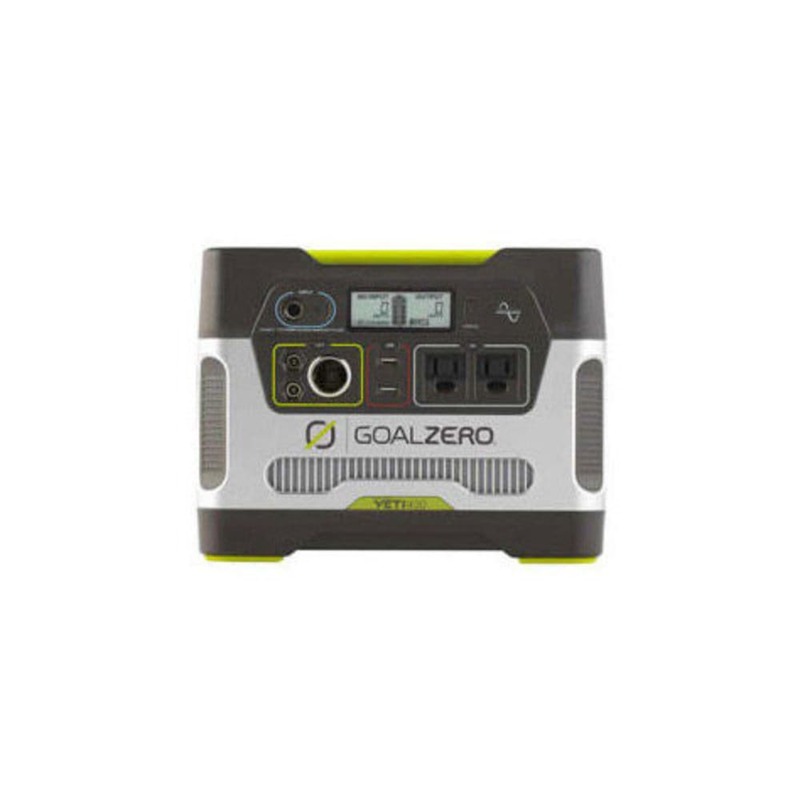 This product will be shipped directly from Goal Zero and will leave their warehouse in 3-5 business days. Eligible for UPS ground shipping only. Dimensions: 10.25 x 8 x 8 in.